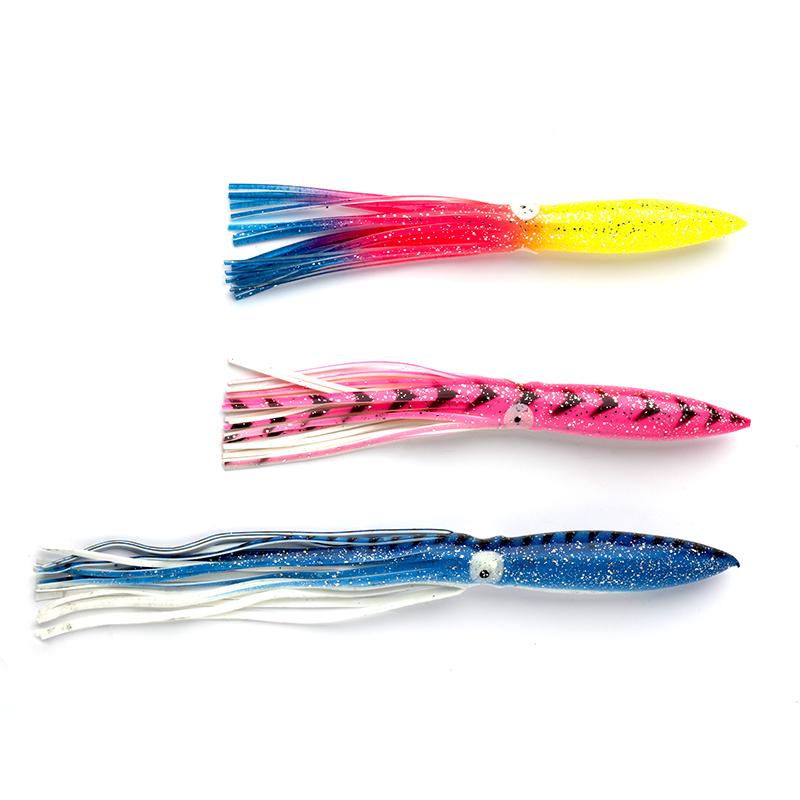 Useful squid lure for many applications with a streamlined profile suitable for trolling. 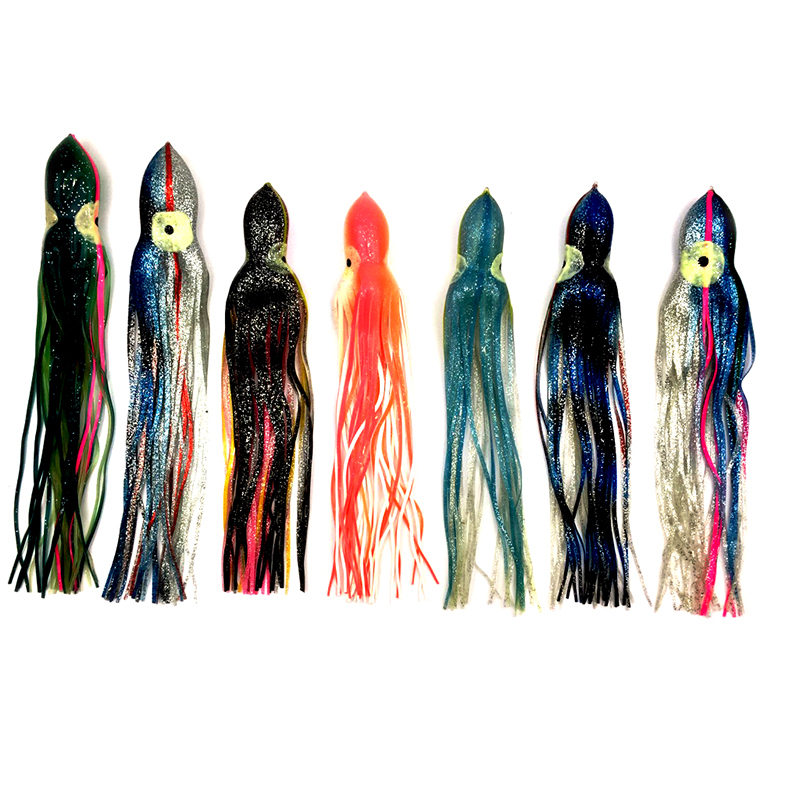 These squid can be used to make up effective teasers and daisy chains for attracting game fish. Rig on 400lbs monofilament line using beads and crimps to space the lures on daisy chains. For making up spreader bars use 400 to 600lbs monofilament line. Alternatively, try trolling individually with a weighted hook set. Great lure for tuna.